Book this Zoo Package (S16) now – from RM 195 / USD 49. This is a day trip to visit Kuala Lumpur National Zoo, Batu Caves and Royal Selangor Pewter. An exciting tour for the 1st time visitor to Malaysia. Book this Supercool Malaysia Legoland Chauffeur Driven Day Trip (S101) from KL now – from RM 750 / USD 188. If you want to self drive, enquire on our Car Rental Services. LEGOLAND Malaysia (latest and newest Theme Park Attraction in Malaysia) is packed full of family fun with more than 40 rides, shows and attractions. Almost everything is hands-on, so you can push, pedal and program, or steer, squirt and splash, your way through a truly interactive experience – and of course there’s building too. This photo of Shajasa Travel and Private Day Tours is courtesy of Trip Advisor. 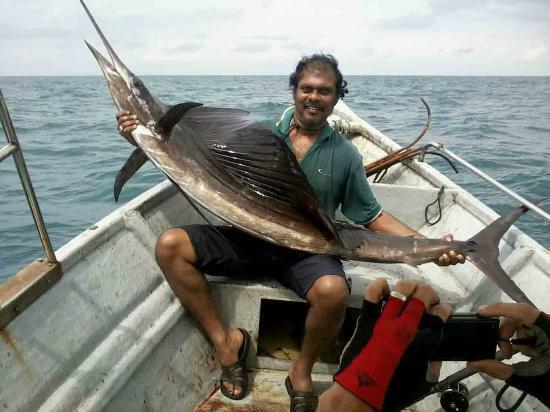 Book this Sailfish Fishing Day Trip (S35) now – from RM 1550 / USD 388 (seasonal tour). The super active Sailfish is unique to Malaysia, making Kuala Rompin a top sailfish angling destination of the world. In fact, there are less than a handful of places in the world where they congregate in such numbers. Book this Shajasa Superstar Package (S81) now – from RM 510 / USD 128. Highly recommended KL Day Trip on Trip Advisor. Book this Malaysia tour package (S27) now – from RM 305 / USD 77. Bukit Tinggi – “The Unique French Village” Colmar Tropicale is the unique French-themed attraction at Bukit Tinggi Resort. It stands 2,600 feet above sea level on 80 acres of natural forestland.